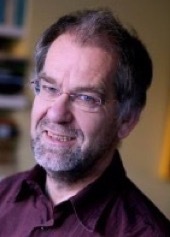 This week, I interview Doctor Peter Groot from the User Research Center of the Maastricht University. As some of you may know, I have been running a petition for some time to raise awareness of something called ‘tapering kits’. Very simply, tapering kits are tablets in decreasing dosages that would help users who wanted to withdraw from their psychiatric drugs to do so safely and in a controlled way. Recently, I was contacted by Dr. Peter Groot from Maastricht University in the Netherlands. Dr. Groot and his colleagues in the Cinderella Therapeutics Foundation have invested considerable time in researching and creating exactly what my petition refers to. They have created Tapering Strips, which are a method by which users of many classes of psychiatric drug can safely withdraw. Dr. Groot and his colleagues have been able to provide tapering strips to more than 2,000 Dutch patients to help them withdraw from their medications safely. Needless to say, I was very excited to hear that this solution had been created and was actually helping and supporting users of antidepressant drugs. Dr. Groot kindly took time out of his busy schedule to talk to me about his own experiences with antidepressants, his approach when creating tapering strips and some of the difficulties encountered along the way. Dr. Groot’s own experiences of depression within his family and his own treatment with antidepressant drugs. His background as a chemist and molecular biologist/geneticist. How Dr. Groot became very interested in how antidepressants worked and took steps to record his own moods over a period of 4 years. How Peter met Dutch Psychiatrist, Prof. Jim van Os, who encouraged him to write about his experiences and his mood measuring approach in a scientific journal. That if Peter misses a single dose of his drug, Venlafaxine, he started to feel unwell the next morning, but it took him quite some time to associate this with medication withdrawal. That Peter wrote up his experiences and described Tapering Strips (a practical solution to achieve gradual dosage reduction) in a scientific paper. How it is very difficult for Psychiatrists or Doctors to judge which antidepressant will be most effective for a particular patient. How the standard dosages of psychiatric drugs will often not be optimal for a particular patient because recommended dosages in guidelines are based on group averages. How ‘registered standard’ dosages are ‘regulated’, which makes providing non-standard dosages difficult. That Health Insurers in the Netherlands seem to think that keeping someone on drugs like antidepressants is cheaper than helping them withdraw, thereby ignoring societal costs attached to unnecessary drug use. That questions about Tapering Strips have been asked in the Dutch Parliament. That Dr. Groot and his colleagues have been able to provide tapering strips to more than 2,000 Dutch patients to help them withdraw from their medications safely while minimising withdrawal effects. How Peter performed an n=1 experiment in which he combined self-monitoring and tapering which was published in a peer-reviewed scientific journal in 2016. That Tapering Strips can also help people to find out if a lower dose of medication is possible if they cannot stop using a drug completely. How Peter worked with an independent Pharmacist to develop the tapering strips, which use combinations of small dosages to manage the taper, and to develop a modular system which allows tailoring of the taper to the individual needs of a patient. How Tapering Strips help both Doctor and Patient to manage withdrawal in a shared approach to decision making. How Peter is now focussed on the more political aspects of moving his initiative forward and that the technical aspects of producing Tapering Strips were actually much less problematic than initially feared. That there is no good scientific evidence for the current practice of tapering. That guidelines advise gradual tapering but offer little or no guidance to do this. That Tapering Strips are now available for 21 psychiatric drugs with another 4 currently in development. That initially it was patients who told their doctors that tapering strips existed and that they wanted to use them. That the availability of the tapering strips as a solution for the problems patients encounter when they try to stop using drugs like antidepressants, makes these problems much more visible. Before such a solution is present, too many people are inclined to take these problems for granted. Note from Dr. Groot: On this website, people can find ordering forms for all the available drug tapering strips. English versions will be available soon. The pharmacist told me that it should be possible to provide the strips to patients in the UK, if a licensed doctor fills in the prescription. I would very much like to make it possible for patients in the UK to take part in research projects using self-monitoring with the PyMate-app.